Hi and welcome, thank you for stopping by and for your interest in Better Health Naturally. Firstly, this site is new so there is a lot more to be done – it will probably be a work in progress for quite some time yet! Please bookmark and check back again for more articles and info. The purpose of this website is to share information and knowledge on achieving and maintaining a healthier lifestyle. You will also find information on building a business where anyone, from any walk of life can avail of an opportunity to set up in business for themselves. I am a firm believer that your health really is your wealth and if you are in good health, you might pick up some tips or info on how to stay that way. Likewise, if your health could do with some improvement, you might find something on this site that can help you or point you in the right direction to taking more control over your health and changing habits or incorporating new ideas that can have a positive impact. First and foremost, I am a Forever Living Products Distributor – they are the largest growers, manufacturers and producers of aloe vera and aloe vera based products in the world today. You will find a lot of information here on aloe vera and how it can help us – after all it has been used for thousands of years to help with a variety of different conditions across many cultures. It was acutally aloe that sustained Mahatma Gandhi during his long periods of fasting. It is a powerful, natural healer and I will endeavour to include references to studies done on this incredible plant, however this site is not only about aloe vera. You will also find links to other products and services where appropriate, as well as business information. I do need to point out that regarding recommendations for aloe vera products, the only brand I can recommend is Forever Living. 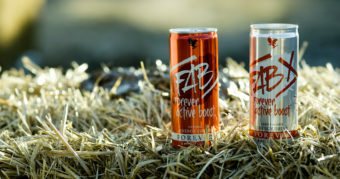 It is the brand I know and have experience of and hopefully, if you read the articles here, you will get a better understanding of why Forever’s products are of such high quality and how they are superior to some of the others you will find in the market. I also want to point out that I am not a doctor so if you do decide to try any product recommended on this site, it is advisable to double check with your own doctor or health care practitioner before hand, particularly if you have a health condition and are taking medication. I do value your feedback so feel free to get in touch with questions, suggestions etc. either by email or add me as a friend on Facebook. I am always looking for new people to join my team – so if you are looking for a new opportunity, a work from home business, a chance to meet new people or an extra service to add to an existing business, in particular if you are already in the fitness, health, beauty, or weight management markets, do get in touch – we have the most amazing products and I can give you the information you need to see how this business works and if it is a good fit for you.